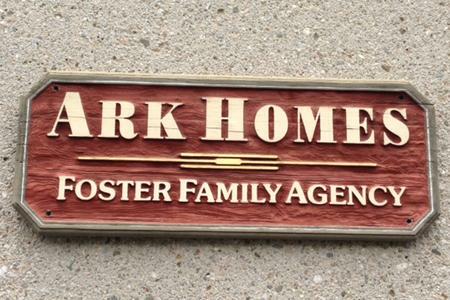 Ark Homes Foster Family Agency is a 501 (C) (3) non-profit organization that is licensed by the state of California. We continue to strive for excellence in making a difference in the lives of children. Our foster care program provides stable, loving homes for children and teens from infancy to 18 years of age who are unable to live with their biological families. Children referred to the program are often victims of abuse and neglect and have special emotional needs. We facilitate foster care homes throughout the Riverside and San Bernardino counties. Ark Homes Foster Family Agency accepts children of all genders, between the ages of one day old through non-minor dependents (NMD). The agency accepts children that are fost-adopt placements, high-risk infants and toddlers, children with behavior problems, and children/NMDs. Ark Homes Foster Family Agency is to provide care, supervision, and well-being of children males and females from 0 to 17 years old and Non-Minor Dependents (NMD) 18 to 21 placed with Ark Homes FFA and to provide them with the kind of ongoing therapeutic services and skills training which will meet their problems and needs. Ark Homes FFA services are individualized, culturally relevant, trauma informed and family centered. Ark Homes FFA supports children, non-minor dependents, and families from different backgrounds or experiences, including race, ethnicity, sexual orientation, gender identify, or a child or non-minor dependent who is gender non-conforming, as well as CSEC population and non-minor dependents. Ark Homes Foster Family Agency (AHFFA) was founded in 2003 and strives to provide the highest quality services to families and children through an ongoing commitment to quality. Our Mission Statement is explicit regarding our dedication to quality customer service and our belief in a process of continuous self-monitoring and assessment in order to improve quality. To this end, Ark Homes has established a comprehensive Performance Quality Improvement Plan based upon the principles of Quality Management often referred to as the Continuous Quality Improvement Process. "foster care agency" "foster care agencies" "foster family agency" "foster family agencies" "foster family agencies in San Bernardino" "foster family agencies in Los Angeles""foster family agencies in Inland Empire" "foster family agencies in riverside" "christian foster family agencies" "christian foster family agency" "best foster family agencies" "best foster family agencies in inland empire" "Adopting agencies" "I want to adopt a child" "how do I adopt a child" "where can i adopt a child" "foster a child" "how to adopt a child" "foster kids" "foster to adopt" "foster agencies near me" "how to become a foster parent" "foster parenting" "foster children" "foster homes" "foster parent pay" "child adoption" "adoption" "adoption cost" "infant adoption" "requirements for adopting a child" "adopt kid" "foster family" "foster care" "resource family agency" "resource family agencies" "resource parent agency" "resource family agencies in San Bernardino" "resource family agencies in Los Angeles" "resource family agencies in Inland Empire" "resource family agencies in riverside" "resource parent" "resource family" "resource parenting" "how to become a resource parent" "how to become a resource family" "resource family agencies in San Bernardino county" "resource family agencies in Los Angeles county" "resource family agencies in Riverside county" "foster family agency near me" "foster family agencies near me" "resource family agencies near me" "foster care agencies near me" "foster care agency near me" "resource family agency near me" "foster care near me" "foster near me" "adoption near me" "adopt a child near me" "foster home near me" "foster parenting near me" "adopt kid near me" "child adoption near me" "foster family near me" "foster children near me" "foster homes near me" "how to become a foster parent" "how do I become a foster parent" "How to become a resource parent" "How do I become a resource parent" "foster family agencies" "foster family agency" "foster care agency" "foster care agencies" "resource family agency" "resource family agencies" "foster family agency" "foster family agencies" "foster care agency" "foster care agencies" "foster family agency" "foster family agencies" "foster family agency" "foster family agency" "foster family agencies" "foster family agency" "work from home" "jobs" "part-time" "single mom job" "part-time jobs" "single mom jobs"
"It's amazing what we can achieve when we come together." I would like to take this opportunity to extend my appreciation to all our foster parents throughout the years. I applaud your caring commitment and continuing support. Without the ongoing efforts of foster parents, supported by our social workers, staff and volunteers many children will end up facing life's challenges all alone. Because of you many of these formerly abused or neglected children and teens will either safely reunite with their parents, be cared for by relatives, or be adopted by loving families. You have chosen to enlarge the purpose of your life to accept the life and well-being of children whose early life experience, health, values and norms may be quite different from your own and that of your biological children. Together, we can offer children in foster care the love and stability that are so essential for becoming responsible adults. I would also like to invite caring individuals/families, if you are able to provide a safe, stable and loving home for children and young adults, please consider becoming a foster parent. There is a vital and continuous need for people like you. Ark Homes Foster Family Agency has achieved national accreditation through the Council on Accreditation (COA) effective September 30,2016. COA accreditation ensures that we are providing the very best possible services to our consumers and is a mechanism that enables Ark Homes Foster Family Agency to continually improve and evaluate the way it deliver services to the community. Founded in 1977, COA is an independent, nonprofit organization that partners with human service organizations worldwide to improve service delivery outcomes by developing, applying, and promoting appropriate best practice standards. COA standards reflect current best practices in the field as determined through extensive literature reviews and a rigorous, multi-stage development and vetting process. Over 2,000 organizations - voluntary, public, and proprietary; local and statewide; large and small - have either successfully achieved, or are in the process of, accreditation. 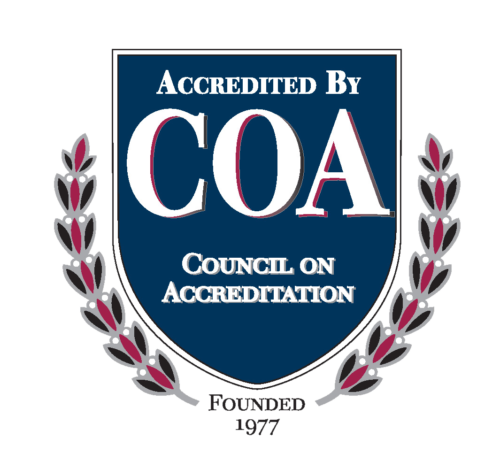 Achieving COA accreditation means our organization is among the best in the field. We are proud to be a part of this community of excellence. Find out what it takes to become a foster parent! Your donations fund learning programs, school supplies, and other things for our foster children. Be it big or small, your contribution goes a long way! Get in touch with us! We would be glad to answer any questions you may have. * Disclaimer: Pictures on arkhomesffa.org website do not depict any of the children at the Ark Homes Foster Family Agency program.